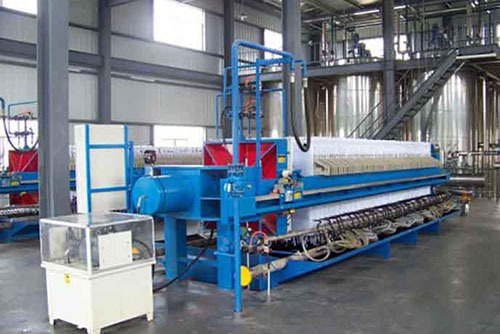 Palm oil fractionation goes through the control of palm oil cooling and crystallization to make separation of palm oil into low melting point liquid (soft fat) and high melting solid (sterin). 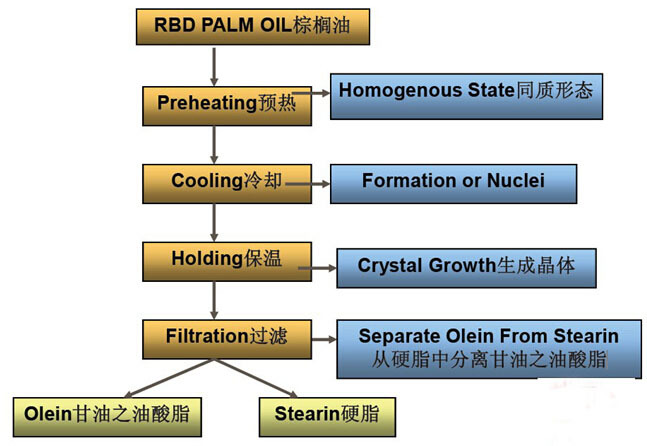 Fractionation of palm oil can be divided into three fractions: stearin (palmstearine), soft fat (palmolein) and middle section (palmmidfraction). After palm oil fractionation, palm oil will be clean after 5.5 hours in 0 degree Celsius, but it also can keep transparency and flowability in the refrigerator and improve the oil quality and appearance.